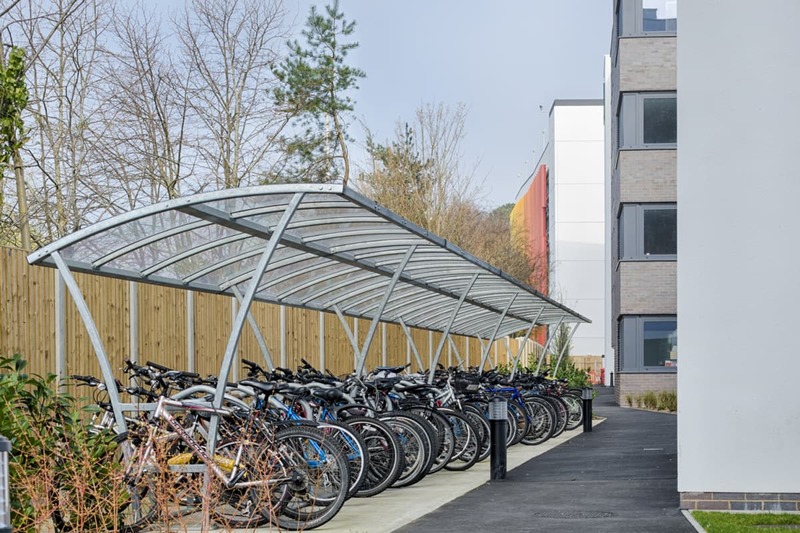 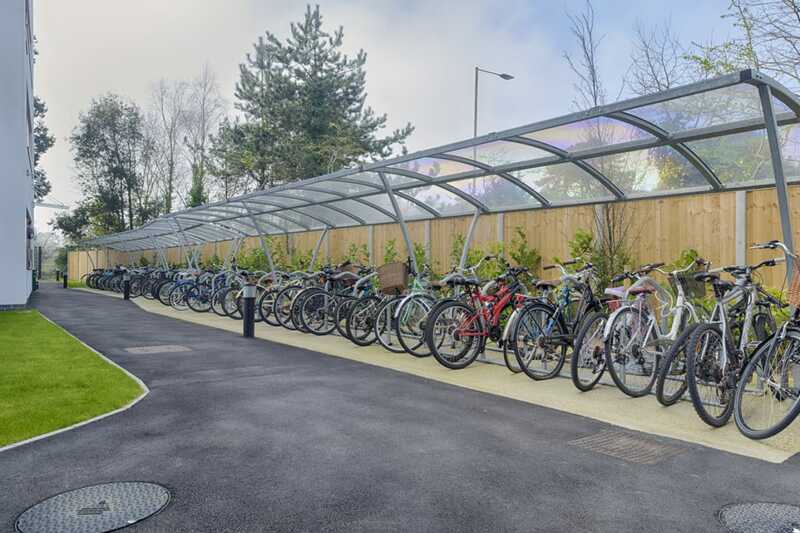 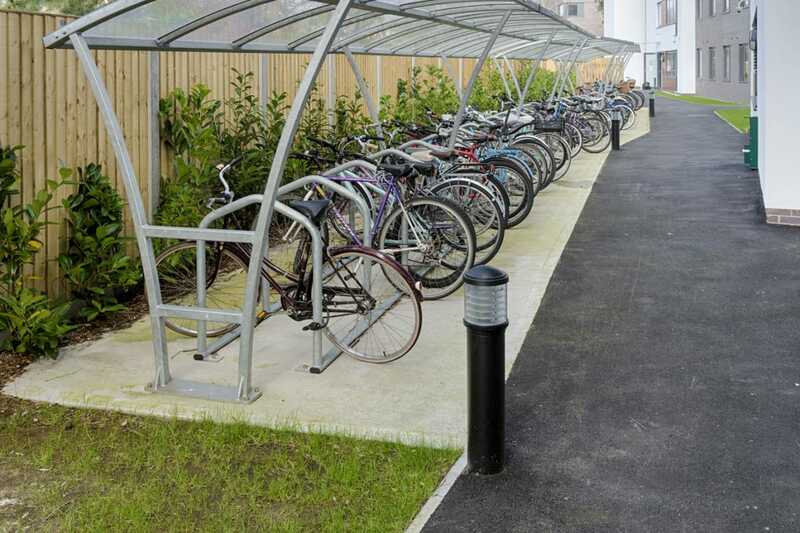 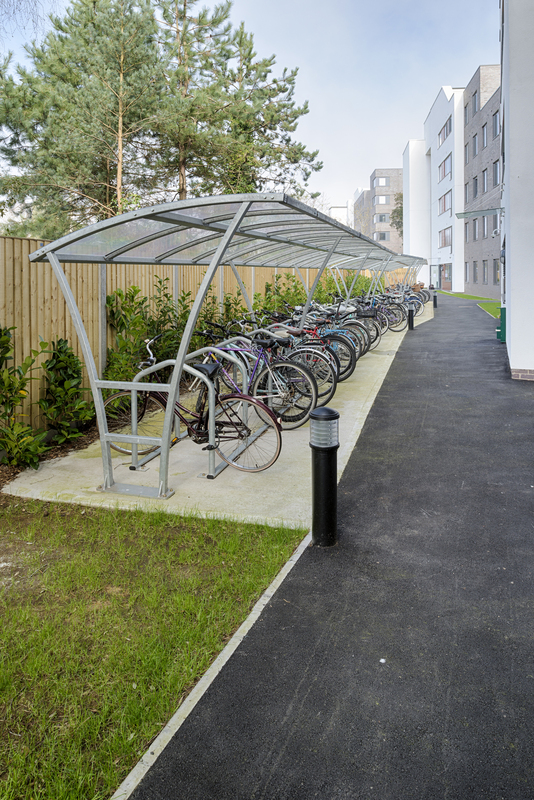 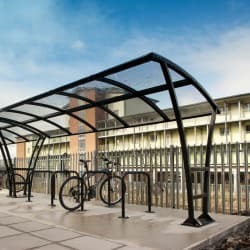 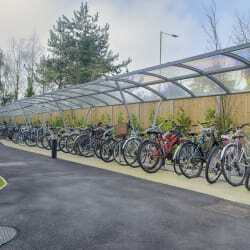 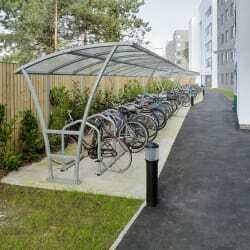 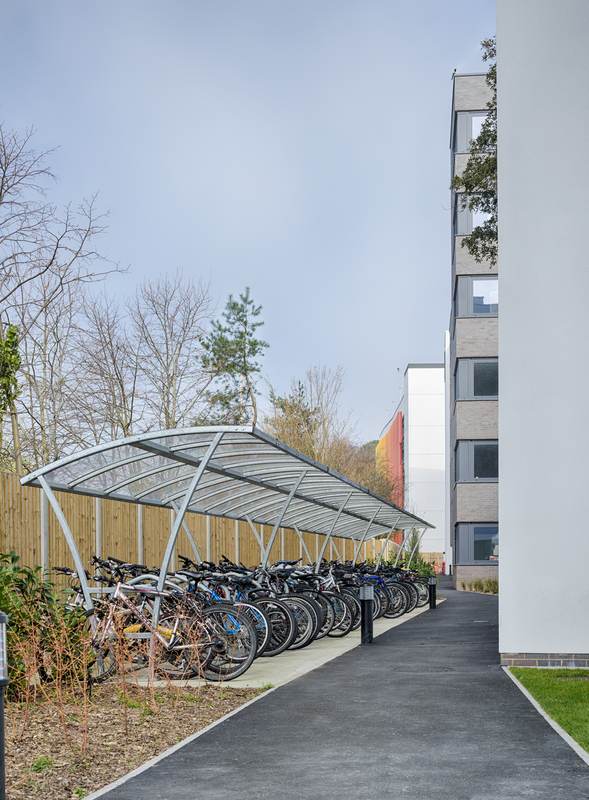 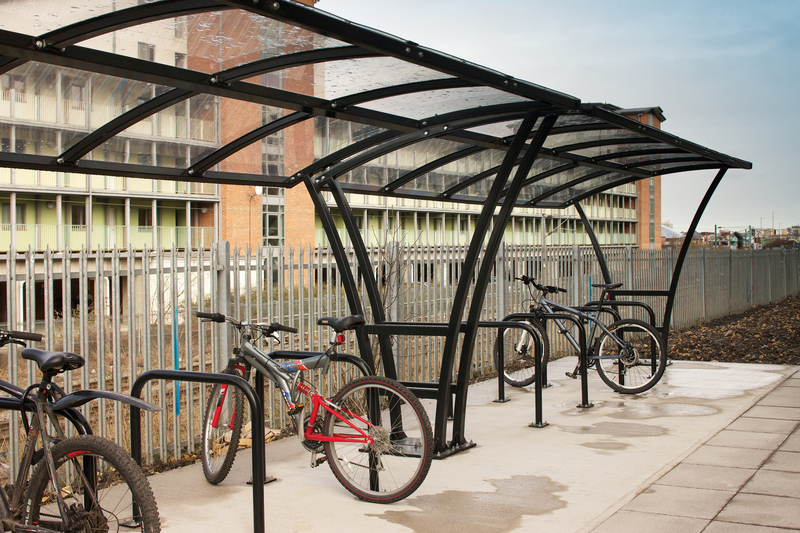 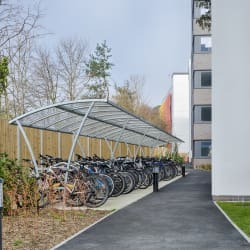 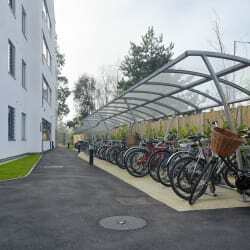 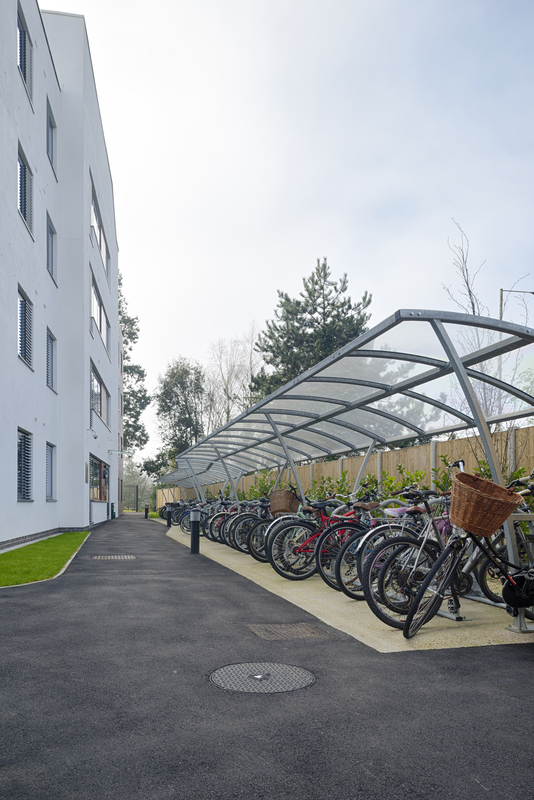 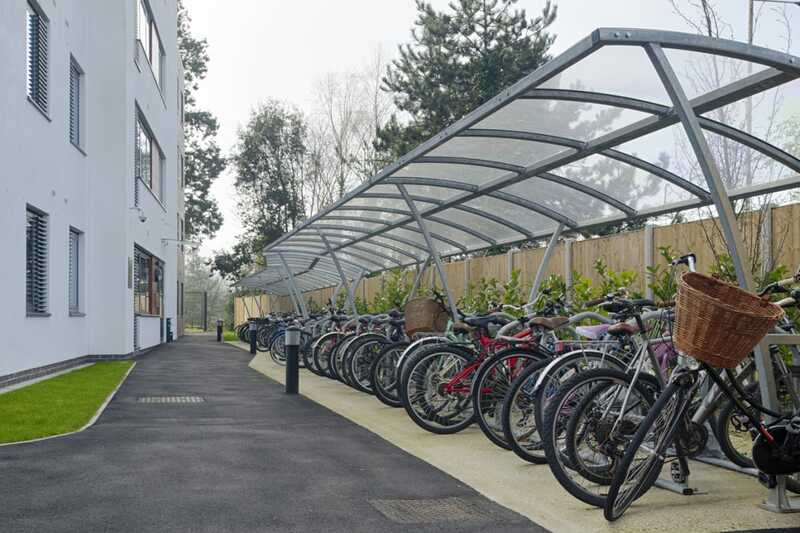 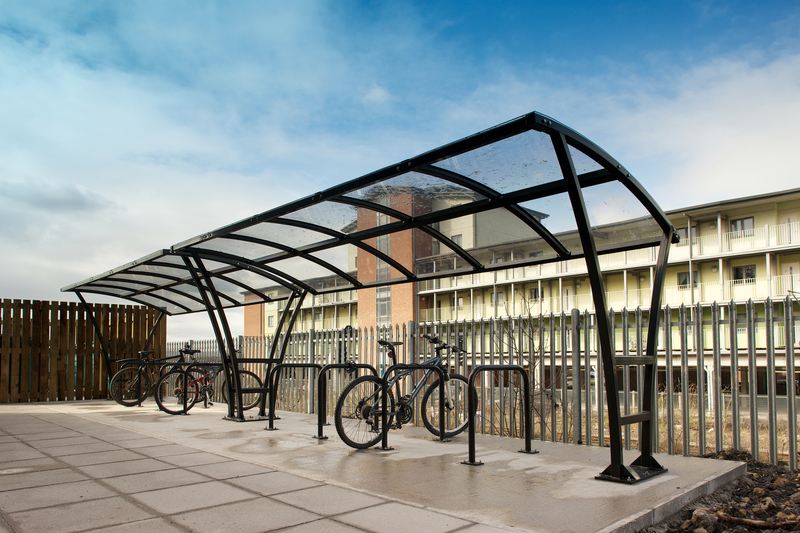 The Pluto Steel Cycle Shelter is able to provide parking for up to 10 cycles/motorcycles as a single shelter, but can be specified as a compound for 100+ cycles. 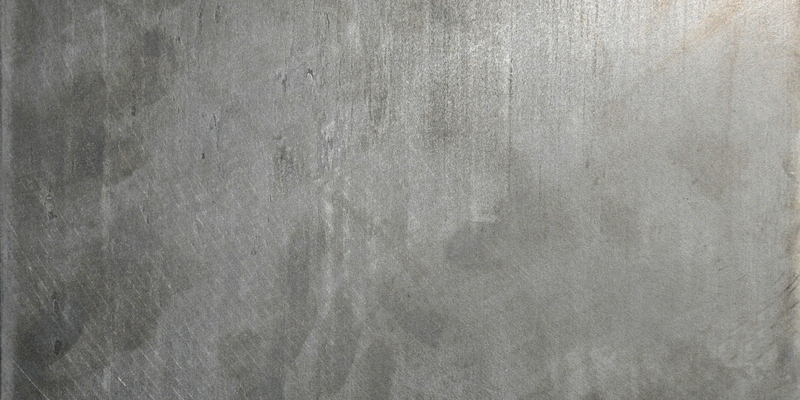 The Pluto's design allows for it to be installed in confined spaces. 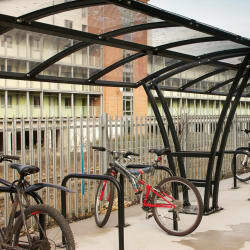 Pluto Cycle Shelter is manufactured from structural grade mild steel which can be supplied galvanised, galvanised and powder coated or zinc rich primer and powder coated.